Hi friends ! 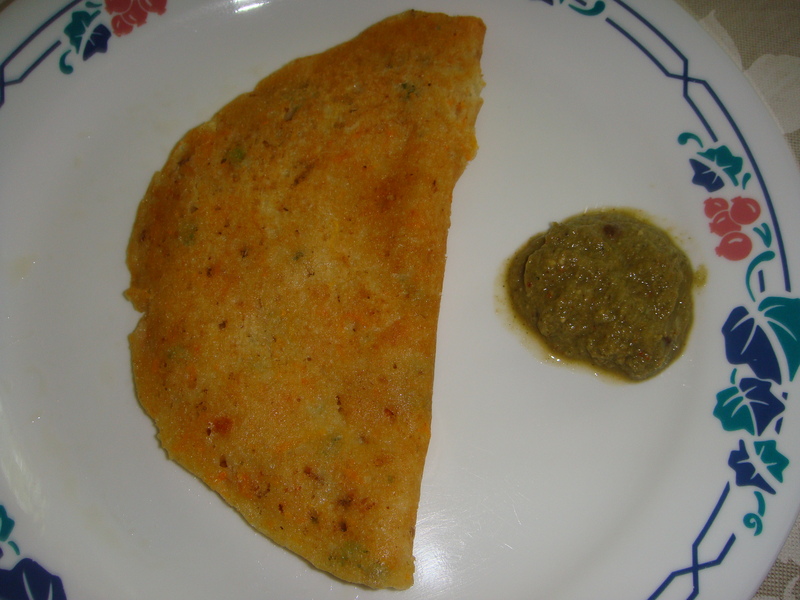 Doasas are crispy savory pancakes/ crepes from South India is a staple food in its home region. In entire country too, Dosas are hugely popular. Instant dosas always come handy when nothing is preplanned for breakfast. There are many instant version dosas, my oats dosa recipe is easier to make than you think ! The good thing about these dosas is that they are thin and crisp and are delicious and healthy for you.For complete range of various breakfast options do check out my recipe menu. VARITIES OF DOSAS: There are more than hundred different varieties of Dosas in India with a brilliant blend of taste, flavors, nutritional balance and seasonings. Oats dosas are special Dosas in this catagory and make healthy, nutritious breakfast or great all time snacks! There are many instant version dosas, my Oats Dosa recipe is easier to make than you think !This recipe of Oats dosa is simple, easy,instant and gluten-free recipe. Once tasted, will definitely become hot favorite! Make fine powder of oats in a grinder, keep aside. In a mixing bowl take the powdered oats, rice flour, salt, asafetida, cumin seeds and whisked yogurt, mix the ingredients well. Gradually add water as needed to make batter consistency of dosa/ pancake mix. Set aside for about ten minutes. Add green chilies, finely chopped cilantro /coriander, grated carrots, add ENO fruit salt mix it well, batter will become little frothy. When the batter begins to dry a bit, gently pour one tsp of oil over and around it. Wait about 20 seconds, then flip the dosa using a spatula. Press the dosa very gently with the spatula all around to ensure even cooking, when dosa is golden brown on both sides, fold it once with the help of spatula and slide it gently on a plate. Repeat this process for the remaining dosas. Serve oat dosa hot. The best accompaniments with the Oats Dosas are coriander/ coconut/ curry leaves or tomato chutney. The key for the perfect and crisp lacy dosas lies in the consistency of batter, so please stick to the measurements provided in the recipe. Mix the batter well before use. The tawa / griddle used to prepare dosas, preferable should be flat an iron or non-stick tawas work best, use a properly heated tawa /griddle ( not cold , not too hot) for best results. For the instant dosas pour the batter mixture onto the tawa / griddle and spread in a circular way evenly with the back of a ladle, about six-eight inches in diameter. Dosas are best when eaten hot. Cold Dosas turn soggy and become slightly sticky. For complete range of various chutney options do check out my recipe menu. Oatmeal is a whole grain, and eating whole grains can lower your risk for several diseases, including high blood pressure and type 2 diabetes. Oatmeal also contains lignans, a plant chemical that has been found to prevent heart disease. The food label on your package of oats should list one ingredient: whole grain oats. Avoid prepackaged oatmeal that may be high in both sodium and sugar and lower in beneficial fiber. The Dietary Guidelines for Americans 2010 recommends eating whole grains to reduce your risk of cardiovascular disease. In addition, whole grains such as oats are a source of iron, magnesium and B vitamins. Eating oatmeal can lower your cholesterol, especially your LDL, or “bad” cholesterol. If you’ve been diagnosed with high cholesterol, consider adding oatmeal to your daily menu. MayoClinic.com even recommends oatmeal as one of the top five foods to eat to improve your cholesterol numbers. Oatmeal is a source of fiber. That means when you eat oats for breakfast, you’re going to feel full for a long time. Breakfast foods high in sugar and fat can make you feel full for a brief period, but then you’re hungry again. A breakfast smoothie, consisting of blended oats, fruit and ice, can satisfy your hunger easily until lunch. If you’ve tried oatmeal before and didn’t like it, reconsider. Combining fruit or nuts with your oats while they’re cooking adds more nutrients. Spices like cinnamon and nutmeg give great flavor to your oats. Limit any sugars and let the natural flavor of the fruits and spices take over. Blend your oats with different fruits into a healthy oatmeal smoothie. Because oatmeal is such a beneficial food, try to find a different way to eat it every day.